One of the greatest threats to workplace safety may be from an unexpected source: stress. Just a few years after launching the Huffington Post media empire, company president and editor-in-chief Arianna Huffington was so exhausted from running her new business that she collapsed. Global surveys on the state of the working world show that a large proportion of people share the experience that Huffington described. Indeed, burnout arguably is reaching epic proportions in many industrialized countries. Recent Gallup research, for example, showed that 2.7 million workers in Germany report feeling the effects of burnout. 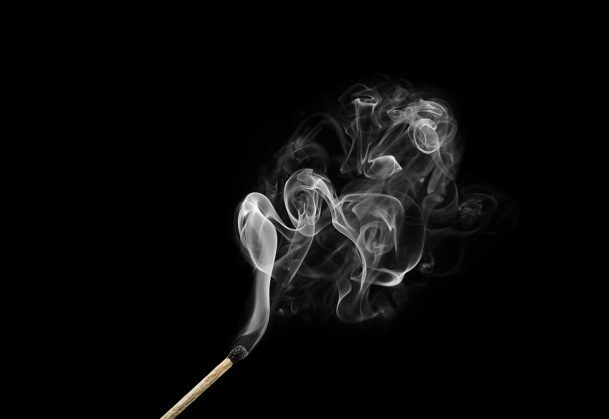 A 2013 survey of human resource directors in the United Kingdom found that nearly 30% reported that burnout was widespread within their organization. It’s a mistake to assume that burnout is merely an emotional response to long hours or a challenging job. Rather, mounting scientific evidence shows that burnout takes a profound physical toll that cascades well beyond our professional lives. Using cutting-edge techniques, integrative research teams are demonstrating that burnout is not just a state of mind, but a condition that leaves its mark on the brain as well as the body. Just as the impact of burnout stifles healthy professional growth, emerging research shows that the chronic psychosocial stress that characterizes burnout not only impairs people’s personal and social functioning, it also can overwhelm their cognitive skills and neuroendocrine systems — eventually leading to distinctive changes in the anatomy and functioning of the brain. The psychologist Herbert Freudenberger is credited with bringing the term “burnout” into the research lexicon in 1974, defining it as the loss of motivation, growing sense of emotional depletion, and cynicism he observed among volunteers working at a free clinic in New York City. Formerly idealistic mental health workers were finding themselves depleted and weary, resenting patients and the clinic. Burnout is now recognized as a legitimate medical disorder by much of mainstream medicine and has even been given its own ICD-10 code (Z73.0 – Burn-out state of vital exhaustion). Many of the symptoms of burnout overlap with the hallmarks of depression, including extreme fatigue, loss of passion, and intensifying cynicism and negativity. APS Fellow Christina Maslach, professor emerita at the University of California, Berkeley, and one of the foremost researchers on burnout, began studying this emerging phenomenon in the 1970s through a series of extensive interviews with employees in service organizations. In analyzing the interviews, Maslach and colleagues noticed a trend: Workers often reported feelings of profound emotional exhaustion, negativity directed at clients and patients, and a crisis in feelings of professional competence. Much like symptoms of depression, burnout was asphyxiating people’s ambitions, idealism, and sense of worth. The 1976 publication of Maslach’s article “Burned-Out,” published in the magazine Human Behavior, generated a huge public response — popularizing the concept of burnout within the popular press. Maslach received an incredible outpouring of letters and phone calls from people who were grateful to find out that they were not alone in their experience of burnout. “I had not expected at all that kind of reaction,” Maslach said. “The impact of that article was just huge.” The article led to more research, more books, and more attention from academic journals. Maslach and APS Fellow Susan E. Jackson (Rutgers University) collaborated on what would become the most influential framework for defining and assessing burnout. Published in 1981, the original paper describing the Maslach Burnout Inventory has been cited well over 6,000 times to date, according to Google Scholar. The scale evaluates burnout based on three key stress responses: an overwhelming sense of exhaustion, feelings of cynicism and detachment, and a sense of professional ineffectiveness and lack of accomplishment. At its core, burnout emerges when the demands of a job outstrip a person’s ability to cope with the stress. People in careers focused on caregiving — teachers, nurses, social workers, and physicians — report the most prevalent rates of burnout, but the condition ultimately doesn’t discriminate among call center representatives, professional athletes, or CEOs. Over time, jobs that require too much of employees will cultivate feelings of negativity and hopelessness as people struggle to meet impossible deadlines, deal with rude customers, or cope with the emotional toll of professional caretaking. It’s a common misconception that the culprit behind burnout is simply working too long or too hard — research indicates that other factors, both individual and organizational, can be just as detrimental. For example, a comprehensive report on psychosocial stress in the workplace published by the World Health Organization identified consistent evidence that “high job demands, low control, and effort–reward imbalance are risk factors for mental and physical health problems.” Ultimately, burnout results when the balance of deadlines, demands, working hours, and other stressors outstrips rewards, recognition, and relaxation. Over the past 20 years, Maslach and her collaborators have developed a comprehensive model identifying six key components of the workplace environment that contribute to burnout: workload, control, reward, community, fairness, and values. Burnout emerges when one or more of these six areas is chronically mismatched between an individual and his job. Over time, Maslach explained, passion erodes not only because people have too much to do, but because of these other factors. New research is showing just how devastating this kind of occupational stress can be to the brain. Research from an integrative team of psychological scientists at the Karolinska Institutet in Sweden provides striking evidence that workplace burnout can alter neural circuits, ultimately causing a vicious cycle of neurological dysfunction. Lead author Armita Golkar and colleagues recruited a group of 40 subjects with formally diagnosed burnout symptoms from the Stress Research Institute at Stockholm University, Sweden. All of the participants attributed their symptoms to stressful working conditions, entailing more than 60 to 70 hours of work per week continuously for several years. The researchers also recruited a socioeconomically matched control group made up of 70 healthy volunteers with no history of chronic stress or other illnesses. Each group of participants completed two test sessions: a task designed to measure their ability to regulate their negative emotions and an evaluation of their brain’s connectivity using resting-state functional MRI (R-fMRI). To assess reactions to stress, researchers showed participants a standardized series of neutral and negative emotional images. After a participant looked at an image for 5 seconds, a set of instructions appeared on the screen, directing each participant to either suppress (down-regulate), intensify (up-regulate), or maintain her emotional response to the picture. Immediately following this instruction cue, the same image was presented again for another 5 seconds. As the participant focused on the picture, a loud, startling burst of sound played. An electrode taped to the participant’s cheek recorded the reflex reactions to this stressful stimulus. The two groups showed similar startle responses when they were instructed to maintain or intensify their emotional reactions. However, when the groups were asked to down-regulate their emotional responses to negative images, clear differences emerged. Those diagnosed with burnout reported more difficulty modulating their strong negative emotional responses compared with the healthy controls, which was confirmed by their physical responses: They had dramatically stronger reactions to the startling noise than did the control group. On a different day, a subset of the participants came into the lab, where they were scanned while lying quietly. The researchers focused on activity among several brain areas involved in processing and regulating emotions. The two groups showed key differences in the amygdala — a brain structure that is critical in emotional reactions including fear and aggression. 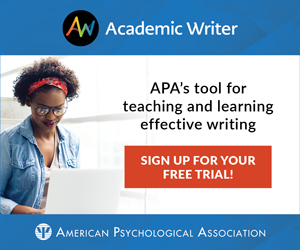 Participants in the burnout group had relatively enlarged amygdalae, and also appeared to have significantly weaker connections between the amygdala and brain areas linked to emotional distress, specifically the anterior cingulate cortex (ACC). The more stressed an individual reported feeling, the weaker the connectivity between these brain regions appeared on the R-fMRI. Compared with the control group, the overworked group also showed weaker correlations between activity in the amygdala and the medial prefrontal cortex (mPFC), a structure involved in executive function. Weaker connections between these two brain structures could help explain why participants in the burnout group had more difficulty controlling their negative emotions. In another study, Ivanka Savic, a neurologist in the Department of Women’s and Children’s Health at the Karolinska Institutet, confirmed that the brains of individuals suffering from burnout don’t just function differently — their very structure may change. Supporting the functional findings of the collaboration with Golkar, Savic found anatomical evidence that the brains of burnout patients were showing signs of chronic stress. Savic anticipated that chronic stress would be visible in brain areas involved in the modulation of stress responses — the amygdala, the ACC, and the mPFC. Savic matched a group of 40 subjects reporting symptoms of burnout to a group of 40 healthy controls. She used the Maslach Burnout Inventory to measure participants’ degree of burnout and took MRI-based measurements of cortical thickness and amygdala, ACC, and mPFC volumes to gauge the physical toll of stress. The results suggest that the emotional turmoil of burnout leaves a signature mark in these brain structures. The frontal cortex, a brain area essential to cognitive functioning, begins to thin as part of the normal aging process, but patients suffering from burnout showed more pronounced thinning in the mPFC compared with the controls. The normal effects of aging were also more prominent in the scans of the burnout group. Other brain structures also showed signs of wear and tear: Burnout patients appeared to have larger amygdalae and shrinking in the caudate, which correlated with their perceptions of workplace stress. Savic theorizes that overactivation in the amygdala leads to impaired modulation of the mPFC regions, which then triggers further stimulation of the amygdala — leading to even more activation of the mPFC. As this cycle spirals further out of control over time, neural structures begin to show signs of wear and tear, which lead to cortical thinning as well as memory, attentional, and emotional difficulties. In a collaboration with another team of Karolinska Institutet stress researchers, Savic and colleagues concluded that long-term occupational stress also was linked with significant reductions in gray-matter volumes in the hippocampus, caudate, and putamen — structures known to be susceptible to neurotoxic changes arising from the excessive release of glutamate. “Data from animal experiments show that stress causes an enhanced release of glutamate, and that a stress-related elevation of extracellular glutamate levels induces retraction in the spines in stress-targeted regions, such as the mPFC, the anterior cingulate, and the basal ganglia,” Savic and colleagues explain. Neuroimaging studies of people who have experienced severe early-life trauma have revealed that their brains show similar patterns to the brains of people suffering from clinical burnout. Regardless of the underlying cause, evidence is accumulating to suggest that the neuronal circuits can be damaged by both situations of extreme trauma and by accumulated everyday stress. Beyond changes to the brain’s anatomy, scientists are beginning to understand how burnout can affect people’s cognitive functioning — disrupting creativity, problem solving, and working memory. To get a better understanding of the cognitive costs of burnout, a team of Greek psychological scientists led by Pavlos Deligkaris (Aristotle University of Thessaloniki, Greece) conducted a comprehensive review of the burnout literature. Ultimately, 15 studies met the strict inclusion criteria: Articles had to be in English, include measures specific to burnout (regardless of assessment scale used), and assess cognitive functions with a validated psychometric measure. In 13 of the 15 studies, burnout was associated with cognitive deficits. Deligkaris and colleagues reported that “specifically, executive attentional and memory systems appear to suffer in association with burnout, and cognitive functioning is impaired in burned-out individuals.” Of the seven studies assessing sustained or controlled attention, five indicated that individuals with burnout were more prone to attentional lapses. Out of the seven studies that included assessments of memory, six showed an association between burnout and memory impairments. However, the researchers caution that nearly all of these studies were both small and cross-sectional, making it difficult to pinpoint burnout as the cause of any cognitive impairments. It’s also possible that individuals who have low executive functioning to begin with end up being more vulnerable to the negative effects of stress — ultimately resulting in higher rates of burnout. In addition to dysregulation in brain function, emerging evidence suggests that — much like other chronic stress conditions — burnout also leads to turmoil within the regulation of the body’s neuroendocrine system. The hypothalamic–pituitary–adrenal (HPA) axis is an important component in the regulation of the stress response, controlling the release of the “stress hormone” cortisol. Under normal conditions, when we perceive a threat — whether it’s a snake in the grass or an upcoming deadline — a rush of cortisol is released into the body. Once released into the bloodstream, cortisol triggers potent reactions throughout the entire body, ranging from cardiovascular activity to the immune system and memory formation. Once the threat has passed, cortisol levels fall off, and these systems return to baseline levels. However, when stress becomes chronic — as in the case of burnout — the body fails to return to normal, leading to a cascade of potential health problems. Under conditions of prolonged stress, the HPA axis ceases to produce higher-than-normal levels of cortisol: When cortisol levels remain too high for too long, the body responds by eventually downshifting cortisol production to abnormally low levels, a state called hypocortisolism. These abnormally low levels of cortisol are associated with severe stress and trauma, as though the body’s stress response system itself has been burned out. A team led by Bart Oosterholt (Radboud University Nijmegen, the Netherlands) investigated the relationship between HPA-axis functioning and burnout symptoms. They recruited both a group of patients with a formal clinical diagnosis of burnout and a group of nonclinical patients with burnout symptoms but no formal diagnosis. An analysis of saliva samples showed that both burnout groups had significantly lower morning cortisol levels compared with a group of healthy control subjects — a sign that their bodies were responding to long-term stressors. Additional research suggests that hypocortisolism induces low-grade inflammation throughout the body, which in turn contributes to severe health problems, including buildup of plaque in the coronary arteries. One large study of nearly 9,000 employed adults found that burnout was a significant risk factor for developing coronary heart disease, which can lead to heart attacks. The team of researchers, led by Sharon Toker, head of the organizational behavior department of Tel Aviv University, Israel, tracked the routine health screenings of 8,838 employees for an average of 3.4 years. They found that employees who scored in the top 20% on the burnout scale at baseline had a 79% increased risk of being diagnosed with coronary heart disease over the course of the study. Coronary heart disease is the most common type of heart disease, killing more than 370,000 people each year just in the United States, according to the Centers for Disease Control and Prevention. Although public health efforts to prevent heart disease most often focus on lifestyle factors such as diet and exercise, the stresses of a grinding workday may be just as detrimental as lighting up a cigarette or eating a double-bacon cheeseburger. APS William James Fellow Bruce McEwen (The Rockefeller University) researches the interplay of stress hormones, the brain, and the body. His research on the neuroendocrinology of stress hormones has shown how chronic stress impacts specific areas of the brain — leading to the changes in mood, learning, and memory that are the hallmarks of burnout. McEwen, along with APS Fellow BJ Casey and psychiatrist Conor Liston, both of Weill Cornell Medical College, has found promising initial evidence that the negative effects of chronic stress may be reversible. The research team recruited a group of severely stressed-out medical students. The 20 students were studying to take one of the most important tests of their lives — the US medical licensing exam. Students cannot practice medicine until they pass this exam. The researchers also recruited a group of relatively unstressed medical students as a control group. Previous research in animal models found that rats subjected to chronic stress showed impairments in attention-shifting tasks, as well as signs of shrinkage and damage to neurons in the mPFC, a brain region involved in attention shifting. But after 4 weeks of relaxation, the changes to the mPFC were reversed. The researchers hypothesized that the pressures of the upcoming high-stakes exam would lead to similar stress-related changes in the brains of the students. Specifically, the researchers expected to see impairments in the functioning of brain areas involved in attention shifting, such as the dorsolateral prefrontal cortex (PFC). To test this, they had all of the medical students complete an attention-switching task while undergoing an fMRI scan. Much like the distressed rats, stressed-out students had more difficulty switching their attention between two visual stimuli compared with the control group. The functional-imaging data confirmed that the network including the PFC was engaged during attention shifts; in stressed students, however, there appeared to be a reduction between the connectivity of the PFC and other components of the brain’s attention network. It appeared as though the stress of preparing for the exam had disrupted connections between neurons in parts of the brain, specifically in regions like the PFC that are associated with modulation of the HPA axis. Four weeks after completing their exams, the students returned to the lab for another round of scans. This time, the two groups showed no significant differences on either perceived stress or performance on the attention-shifting task. Neuroimaging data revealed that the impairments shown in the formerly stressed-out students’ brain activity also had reversed. After 4 weeks of recovery, their patterns of brain activity were similar to those of the control subjects. World Health Organization. (2010). Health impact of psychosocial hazards at work: An overview. Geneva, Switzerland: Leka, S., & Jain, A. Research shows that women stand a better chance of being recognized if they work alone rather than in teams. This would also make them more prone to burnout, since there is no one to share the burden. No wonder this happened to Araiana. The comprehensive summary of the brain research seems to suggest that burn-out is a variation of PTSD caused by chronic multi-minor traumas instead of major, acute traumas. Agree? Chronic Fatigue Syndrome is becoming more and more prevalent in industrialized nations. This illness, which I developed, is not “just being tired”. It affects the hypothalamus, leading to a number of dysfunctions across the entire body system. Helping professionals and others in high-demand positions need to prioritize their own well-being and self-care, including keeping up-to-date on promising interventions such as the Lightening Process developed in Europe. Expect this type of mental illness to be more and more prevalent across the Western world as human beings are increasingly forced to compete with machines, robots and algorithms. There needs to be a dramatic rethink about the way societies run and people’s expectations of a healthy work/life balance. Sadly I expect that many governments will continue to adopt 19th century solutions to 21st century problems. It’s great that more people are becoming aware of and studying burnout, yet, how does this translate into creating the institutional change necessary to avoid workplace burnout? Is there enough evidence to show that when too many parts of a machine break, the machine itself malfunctions? Is burnout socially expansive enough to be said to contribute to society dysfunctions, like increasing apathy? Please .. how long does it take to recover? Does one need to sleep a lot? I need help recovering. That depends on so many factors. In my case 3 months stabilised me, but it took many more months before the symptoms of motivational loss, lack of confidence and emotional hyper reactivity went back to close to normal. In those months I adjusted my lifestyle to one that was a lot more healthy i.e. sleeping at least 8 hours EVERY night, eating healthy, meditating regularly, learning to recognise when I was becoming stressed and removing myself from that situation, and psychotherapy (I’d recommend humanistic). Burn-out is more of a very strong message from you body that says get-out-of-this-poisonous-situation. If you get better but just go back into the situation that burned you out in the first place then you haven’t listened to your body. Take care of yourself and trust your gut. I have heard that burnout causes thigh and gluteal muscles to breakdown. I am presently experiencing pain in these areas. How do I remedy this? Alexandra Michel is a science writer at the Association for Psychological Science. She can be contacted at apsobserver@psychologicalscience.org.